Margolis Appliance Repair is a locally owned company that has been dedicated to providing exceptional service to the residential clients in the entire north shore and north side of Chicago, IL. We are fully insured for your complete peace of mind. Once you have put your appliance in our capable hands, we do not rest easy until you are 100% satisfied with the end results. Our affordable services make us all the more preferred choice for our customers. Comment: They were professional and courteous. Comment: Mr. Margolis was friendly, responsive, and went above and beyond. He asked a lot of questions to make sure he was addressing the right problem and then got to work. He knew where to look, what to adjust, and what to give me advice on. He not only fixed the problem, he showed me how to prevent it in the future. And it was quick, too! In and out in about 35 minutes. Comment: We used Mr. Margolis more than once in the past. He is still the best. My husband met him for the first time and was really impressed by his professionalism, speed of response to our call, and cost of service. We had new Kohler sinks and a fancy faucet installed in our kitchen several years ago when we upgraded to granite countertops. The faucet began leaking and the hose never pulled out properly but we made do until it became a real problem when the garbage disposal went on the blink. I called Mr. Margolis and he came out the next day with all the necessary parts. He even replaced pipes and got rid of the problematic hose part that obstructed the hose from easy movement back and forth. Everything was done in just a couple of hours with no mess or fuss. My husband thought the cost would be expensive, but it only cost me a few dollars. Mr. Margolis also gave me some good advice on maintaining our appliances. Comment: On-time and affordable. He gives straightforward advice. He kept a clean work area and error tested unit before leaving. I would hire again when the need arises. Comment: Removed a screw from a washing machine which was causing it to malfunction. We have used this repairman twice and both times he found that a much less expensive fix was needed than we had thought. I would rate him very honest. Comment: The dishwasher was spraying chunks of food and soap onto the dishes which were coming out dirty. Problem resolved. Gary helped us troubleshoot our leaking refrigerator over the phone in an after-hours call. Comment: We called Gary to help us with our leaking refrigerator at 9 pm when we had thought the problem was resolved by a serviceman several days prior. He patiently walked through the problem with us and was sure that the water valve was not shut off by the prior repairman. The prior repairman told us he had shut it off. The water was accumulating at the bottom of our appliance and was running down through the floor to our basement. He talked us through shutting off the water and the leak promptly stopped. We offered to compensate him in some way and all he asked was that we think of him for future repairs. We were extremely pleased by the encounter and will be using Gary in the future. Comments: We called for an appointment on Monday morning and scheduled an evaluation for later that day. He arrived in the one hour window I was given. He called before his arrival. The issue was the belt on our dryer, as expected. He replaced the part in the same visit. Service was quick and he was professional. He also gave tips for dryer health and upkeep. Comments: Our old dryer was tumbling, but not heating. We called Gary to come in and take a look to see if it was fixable. Happily, it was. Gary was extremely professional, easy to deal with, and he got down to business immediately. An hour later, we had a working dryer that was cleaner than it had ever been in its long life. We were extremely pleased, and will keep Gary's name and number on hand for future appliance repairs. We would not hesitate to recommend him. Comments: I recently purchased my first home and finished all its repairs. Upon doing our first load of laundry, we realized the soap dispenser wasn't being triggered and the the water wasn't draining out in the spin cycle. We called ABT electronics, but they couldn't send anyone out for almost 2 weeks. It also costs $150 just to have them take a look and diagnose the problem. I called Margolis Appliance repair. They came that same night, and the pricing was beyond reasonable! The gentleman who came out was very nice, incredibly professional, and kept us informed about everything that he was doing. I would probably call them again for any other problems we encounter! A dishwasher door repair, which involved removing the front plate of the dishwasher and reseating the latch. Comments: Gary was very prompt, clean, and courteous. When he arrived, I explained that I tried to fix the loose dishwasher handle the day before and in the process made the problem worse once I realized that the dishwasher would now not latch shut and therefore, would no longer run at all. Gary quickly had the front panel off of the dishwasher and managed to fix the latch. He tightened the loose handle that I was unable to reach and fix, as well as tidied up any other noticeably loose or out of place items behind that front panel. All of this was taken care of within 15 minutes of walking in my door. We then had a nice chat, exchanged payment and business cards, and he was on his way. He was reasonably priced, and I would certainly hire him again in the future. I have been using his services for 15 years, but this time he repaired a washer/dryer combination for me. Two years ago when my 3 HP disposal broke down, he advised that this particular model had a 7 year warranty, not 5 as ABT said! So, we got a brand new disposal, which ABT delivered and installed. Over the years, Mr. Margolis has saved me money and given us good advice. Comments: He fixed my 25 year old Maytag washer/dryer combination. He said that it was very dirty, so he took it apart and cleaned it. He has been great, very honest, and knows his stuff. He is very good at what he does. He is always so neat and clean, as well. I would not think of calling anyone else! Gary opened the dishwasher and knew immediately that it was clogged with gunk. This happened, despite the fact that I always rinse dishes before putting them in the machine. He took a few parts off and showed me. He told me he could clean out the entire machine, but with the price of his labor, it'd be cheaper to buy a new machine. He was honest. No, it was not the answer I wanted especially right before Christmas. Another repairman may have done all the work and presented me with a huge repair bill. He gave me a choice. A new machine it is. He even recommended the best place to go. Comments: He ordered a part which I provided over the phone. He came and fixed the turning device that moves the ice down to the front of maker. Diagnosed what had failed, sourced replacement part, and returned to install it, all in 24 hours. Remarkable considering that 3 other "repair guys" failed. Comments: Gary is a problem solver. He is not limited to the simple & obvious stuff. Comments: I've found my new appliance repairman. I contacted Gary and left a voicemail; he returned my call promptly and was able to stop by the same day. Gary was professional when he got here and quickly went to work. He was able to find the issue and fix it within an hour. He repaired my gas clothes dryer which would start properly but the burner would not recycle on to heat and dry the clothes throughout the normal drying cycle. The clothes stayed cold and wet. Comments: He understood the problem over the phone. He was able to quote me a price and schedule me in promptly. He was on time, courteous, and professional. He completed the work as promised. I am very satisfied and would absolutely use him again. Comments: So, with no warning, our oven went out about two weeks ago. We read Gary’s reviews and called him to please take a look and help us out. He was very friendly and knowledgeable about our appliance. He knew exactly how to fix it. We’re very glad we called him and that his repair service was at a reasonable price. We would recommend him for sure. Comments: Gary is very thorough. He is determined to find out what the problem is and the best way to fix it. In order to do this, he spends as much time as needed to fix the problem correctly, and at a very reasonable price. The only problem with this is that he tends to run later than estimated which can be a problem if you are trying to keep to a schedule. However, this would be the only negative thing I can say. He really knows his stuff. He is also personable and very reasonably priced for the quality of his work and the attention he provides. One of my stove burners did not work and he replaced the part that was defective. Comments: I explained what my problem was. Fortunately, he had the part with him so he didn't have to order it for future installation. I was able to use that burner immediately. Comments: Margolis did such a good job with our dishwasher, we had him come back to fix the ice machine in our fridge. It turns out that whoever installed the ice machine did not do the best job in the world and Gary had to try a bunch of different ideas to fix the problem. It was clear he was very familiar with how these machines work, and he had a lot of spare parts from previous jobs to help him creatively work out the problem. He eventually found a solution that worked perfectly and was very fair with his pricing. My KitchenAid dishwasher door broke. Margolis came by and fixed it. Comments: I saw in the Angie's List reviews that another customer had a similar problem and that Margolis fixed it. I was juggling my kids when I called so I was a little disorganized when I explained what I needed. Margolis was very patient with me despite the fact that I originally gave him the wrong brand name and it took me a while to find the model number. He was able to come by that very afternoon. He showed up as agreed, worked very efficiently, was very knowledgeable about the problem and how to fix it. Could one wish for more? I purchased a new washer and dryer. Comments: He looks out for your welfare and makes sure you don’t make any bad decisions. He advised me which type of washer and dryer I should buy. He watches out for the reliability and cost of anything you purchase. Not only with purchasing, but he's very efficient in repairing appliances, as well. I’ve been using him for years and plan to continue using him as long as he’s working. Comment: My 90-year old father's washing machine was leaking. I called Margolis Appliance Repair in the morning and the serviceman was at my dad's condo within 1-2 hours of my call, consistent with his estimate of when he'd be there. He gave my dad a cost estimate and performed the work well. He was professional and courteous and definitely knew what he was doing. I would absolutely recommend Margolis Appliance Repair. We were having an issue with our refrigerator. He came out, determined the problem, and explained to us what’s needed to be done to repair it. Based on the cost of the options, we ended up buying a new one. Comment: Overall it went well. I liked how he explained everything and presented options. We used Margolis Appliance Repair to replace the timer in my dryer. Comments: He was good. We called late and he came the next day so the availability was good. I have used Margolis Appliance Repair once to fix the stove and twice to work on the microwave. The switches in the microwave door had burnt out, so he was here to fix it the last time. 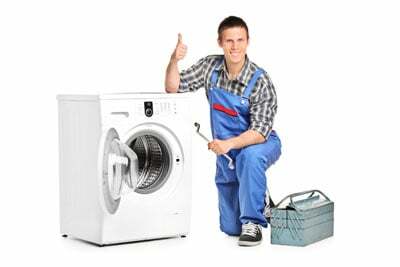 He repairs dishwashers, washer dryers, microwaves, kitchen appliances, stoves, and other things. Comments: Gary Margolis is an appliance repair man. He's friendly and shows up on time. When he's done fixing the microwave, he washes it. I don't believe anyone else would do that. He's really responsive and spells out all the options. He shows exactly what had happened and what was going on. His service is excellent. I paid him for 3 switches and the service call. I don't think he fixes small appliances like toasters, blenders, and stuff like that. I've used him and recommended him quite often to other people who've had problems that way. His price and quality is very good. He's not the cheapest one going, but on the other hand, one would get what they pay for. Once he's fixed something, I've never had a problem with it again. Technician replaced the links that control the raising and lowering of the door of my dishwasher. The string attaching the door to the tension springs in the back had frayed so it needed to be removed. A new string threaded through the gears and the tension spring connected to it. He also gave me advice and did a basic repair job on the loose grill plate on top of my microwave. Comments: I was trying desperately to find someone who would repair my dishwasher at a reasonable price. Most places I contacted were giving me estimates of around $200, nearly $100 just for making the service call. So I searched for a repair man as close to my address as possible and found Margolis Appliance Repair. I was a little apprehensive as there were no reviews, but decided to give a call. It's a little difficult to pin down the technician on the phone because he's so busy. He would always be driving between house calls or simultaneously talking to one of the other workers when I called, but in spite of this, he was good about giving me the information I needed. He was very honest about the estimate I asked for, even breaking down the cost of the parts so I would know it was reasonable. He also offered to come the very next day but I had to check my schedule and didn't get back to him the following night. Even so, he was able to find space in his schedule to make the house call within 24 hours. He arrived for the call about between 30 and 60 minutes late, though this is not much compared to some repair jobs I've had and he did call to keep me updated about his progress the whole time. Once arrived, he fixed the door in record time. The entire call took under an hour. While working on the door he sliced open his finger but this guy is a total professional. He wrapped it in some gauze, taped it up, and still finished the job quickly. He did not charge me one cent more either for the extra time or the inconvenience. My dishwasher door works great now. I could feel the change in the tension immediately. While he was finishing up, I casually asked about the loose grill on top of my microwave. He took a quick look, gave me some advice, and did a temporary fix on it for free. It's not a job meant to last as that would have needed special parts but he was upfront about that and gave me info on where to get the parts and what to do once I had them. He was also very friendly. He likes to talk and explain things fully. His service is not just "give a man a fish," but "teach a man to fish" or at least provide some fishing equipment. In the end, I got my dishwasher fixed for half the price I'd been expecting, had the microwave thrown in as a bonus and received much more pleasant and prompt service than I had ever had from a repair man before. I highly recommend Margolis Appliance Repair. He fixed my refrigerator the day before Thanksgiving. Comments: He had to go to the factory and come back to put a new motor in. He went way above and beyond to help me. My dryer was chewing holes in clothes, and it turned out that the problem was that the barrel had worn down some pads. He replaced the pads and cleaned out the vents. Comments: I called at 10pm expecting to leave a message, but Gary answered and made an appointment to come the next day. The parts were about $45, the initial service call was $70 and the other $50 or so was for labor. He said that it wasn't very high quality dryer so I could just replace it, and offered to connect me with someone who had gotten him good deals in the past. We preferred to have it repaired and get another one later. He had the parts in his truck and was done within an hour. Overall, I was pleased. Check out over-the-range microwave based on my call that it was not heating as well as it had before. Comment: I called him because our microwave did not appear to be working as well as previously. He had appointments available imminently, he called ahead before coming and he showed up on time. He checked out the microwave and made some suggestions for how it could run better, though he did not find a problem with it. He did some additional voltage checks of the outlet and noted that it was dropping some power, and thought perhaps that could be the problem. He tried to answer questions and seemed very knowledgeable about the products and how they work. Although I can't really evaluate his repair, since he said one was not necessary, I would call him again if I need an appliance repair. Call us today to book an appointment and find out why our clients come to us for all their appliance repair, installation and maintenance needs!